Want a copier that can print fast while still giving you cost efficient color prints? If so, then you need the Xerox Colorqube 8880, which blazes a trail of 51 pages per minute in color. 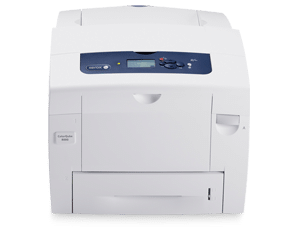 What should you consider when choosing this copier? First, you have different speeds that can be used for varying quality levels. The higher speeds of the Xerox Colorqube 8880 will lower the overall print quality for color pages. If you want high speeds with high quality color, then this will not be the best machine for you. Six pages per minute is scary slow, but it features immaculate quality, so it becomes a trade in the quality levels, and you can raise the pages per minute, depending on the purpose of your printing. Here in Denver, we carry the Xerox Colorqube printers, and we want to help companies to discover their perfect color printer. Perhaps the Colorqube 8880 meets the demands at your office. If not, we can still help you to find the perfect printer to give you the competitive edge in business.